Bim to Field - Aspenhills Consulting, Inc.
Aspenhills Consulting can help you implement Collaborative Processes and BIM related technology. From our experience, we understand the dramatic efficiency gains and risk reduction that occurs with the various uses of BIM based data, interactive processes, and tablet enabled systems. Let us help you attack the estimated 30% waste that studies have documented in the current design/construction industry. 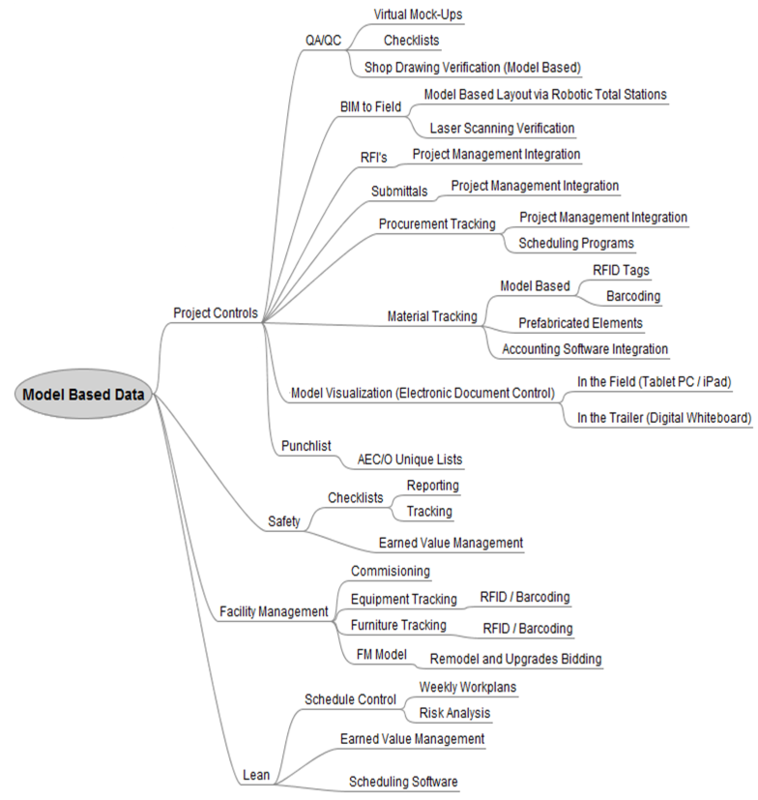 The accuracy of the coordinated model can now be transferred to the field layout. Layout is done by a single individual using a robotic total station machine versus the traditional two man crew. Updates to the model can now be quickly distributed to all subcontractors for use in their total stations rather than having to rely on multiple paper documents being manually corrected and the need to recalculate layout information. Consistent accuracy across the jobsite no longer relies on trusting everyone to have updated documents. Daily production can now be uploaded at the end of each day to validate scheduled work flow. Total stations and scanners can verify the accuracy of the work put in place and upload the information back to the model for hyper-accurate as-built documents. QA/QC personnel in the field have immediate access to all drawing/model/specification information while in the field for easy comparisons to actual construction. QA/QC checklists can be tied to model elements for more accurate and faster verification. Issues can be documented and tied to specific model locations for transmission to subcontractors and designers. 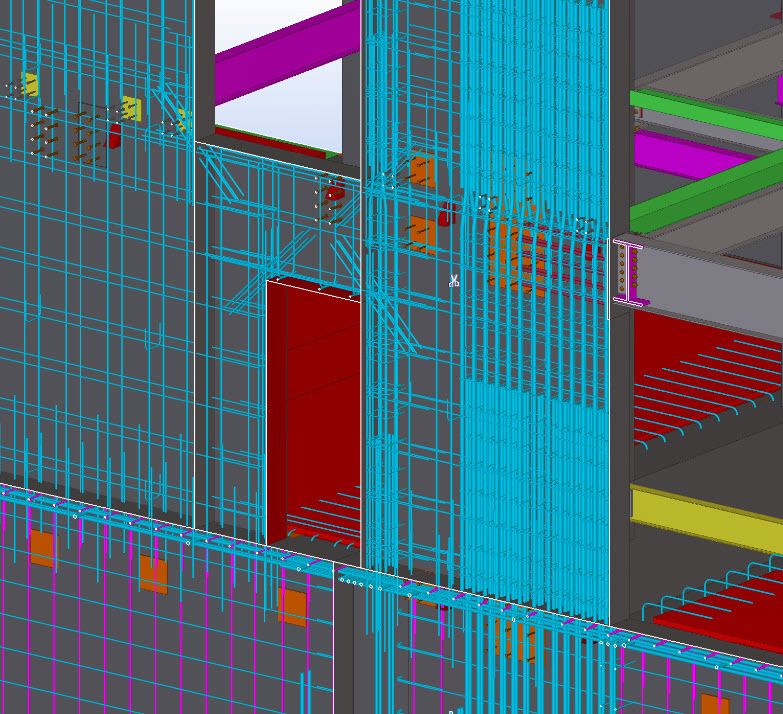 Rather than having to rely on paper documents to envision construction details, field crews can see 3D representations. Field personnel always have access to complete, up to date, coordinated construction documents on tablet PC’s or inexpensive iPads. Field office staff can spend their time out on the jobsite rather than having to return to the trailer for computer or document access. Using model information, tablet PC’s/iPads, and management software, staff and owners can easily communicate questions and comments to other team members. Material tracking can now accurately begin much earlier. Special systems that are tied to each component can report to the model, schedule and budget the real-time status of each item. 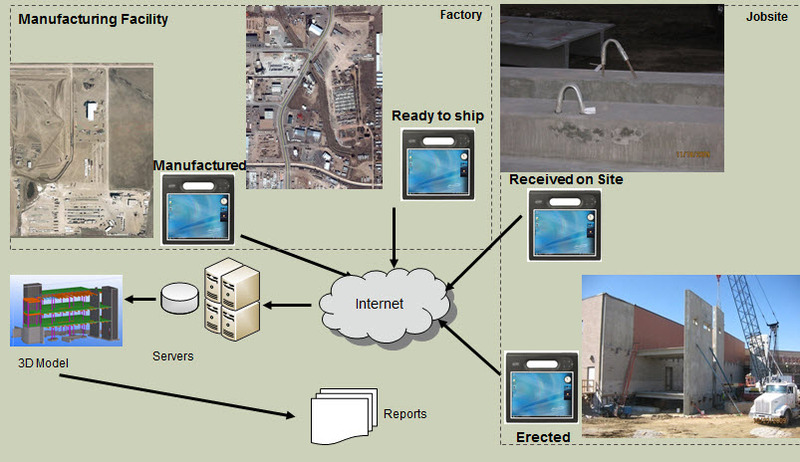 When an item is fabricated, shipped, arrived at the site and installed is reported in real time. This provides an early heads up of potential problems prior to causing last minute field delays and the need to redirect field crews. The system also provides accurate inventory control and an easier system to track materials stored on site or installed for billing purposes. Portable, web enabled devices with access to the model, specifications and schedule keep field managers out of the trailer and in full time contact with the workforce. More efficient use of personnel at all levels is achieved by accelerating required tasks through the use of integrated processes that require input only once. Comments, questions and issues are clearly communicated between the members of the project team when the model is used to identify specific locations and visually show details. Potential design conflicts and incomplete details can be resolved during the design phase. The ability to reference the coordinated model later in the field capitalizes on those previous efforts and prevent delays and change orders. As changes are made to the model and other documents, the model can be centrally updated and transmitted to all supervisors and subcontractors. No need to expend the manpower required for all parties to correct dozens of sets of paper documents, or for personnel to be uncertain if their current set of drawings incorporates all of the changes. Questions and suggested solutions are clearly and quickly transmitted to the designers for resolution. Pictures and audio files can be attached to model details. 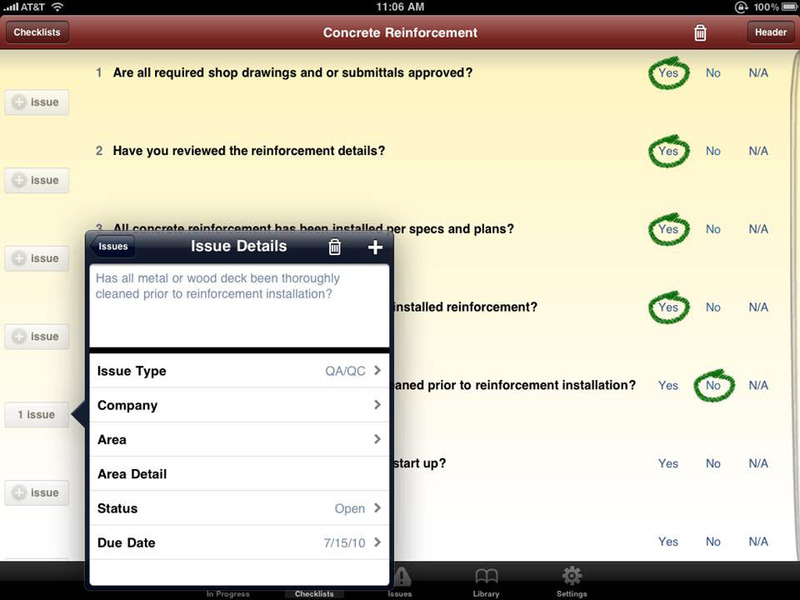 Pre-designed checklists available to supervisors on portable devices speed up field processes, enhance accuracy and answer questions for the workforce as they perform their activities. Punchlist items can be identified, instantly noted and referenced on the model, then transmitted to appropriate subcontractors for resolution. Extend the value of the BIM model past the design and construction phase by capturing additional information that is valuable for the continued operation of the facility. We work with the facilities management group to identify the appropriate FM system and to design the implementation plan. Act as the interface between the design/build team and the facilities management group. Provide the technology to transfer information from the design documents directly into the FM system, eliminating the need for manual entry of information which can take months. The FM system is operational on the first day that the facility becomes operational. Integrate the dozens of specialty systems into a unified, reporting and control system. Eliminate the need for isolated monitoring and manual interface between functions. 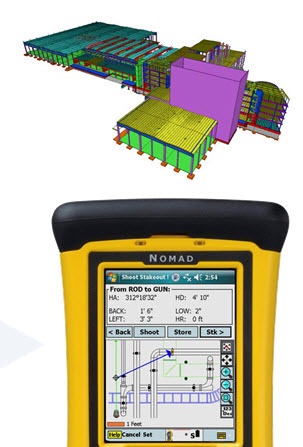 Establish computerized systems for bidding remodel and equipment replacement projects direct from the model. "Recent changes in technology are now enabling collaborative processes to operate efficiently in a real-time, transparent, knowledge-based environment. Decision makers can now have the right information at the right time to make proactive decisions." Aspenhills Consulting maintains close touch with all of the leading software and systems developers to understand their ever evolving capabilities. We can work with your team to identify the optimum structure of technology and processes to support your company’s unique approach to design and construction.